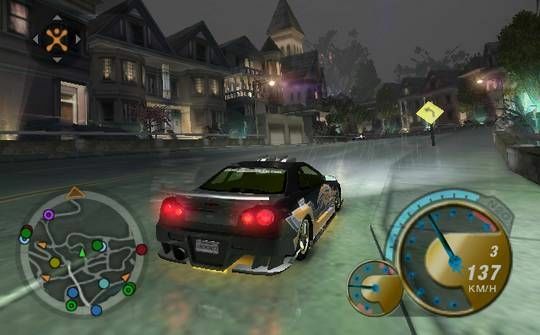 Need for Speed Underground 2 will challenge gamers to immerse themselves in the tuner culture, exploring an expansive, free roaming city divided into five distinct neighborhoods. Gamers will encounter rival racers who will initiate events, tip players off to the hottest racing spots, and show them where to buy the most sought after licensed aftermarket upgrades. The game will feature new game modes, deep new performance customization and tuning, and more than 30 licensed cars. The game also delivers twice the visual customization upgrades as the original game, providing a staggering 70 billion possible car combinations for total automotive self expression. The sequel to Need for Speed Underground has big shoes to fill, and it does so admirably, with vastly improved graphics, new gameplay modes, and an improved interface. 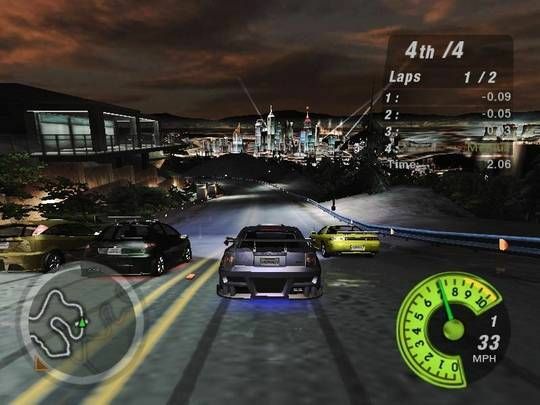 The demo also pushes beyond the scope of the original, offering a “free roam” mode to explore the cityscape and challenge competitors at will, two types of “quick races” on two different tracks, and the ability to race other drivers online. The graphics are the most obvious improvement. We only can describe them as truly awesome, even on lower settings. Lights on the bridge sparkle in the night sky, and mannequins in store windows catch your eye as you blaze past. Little things, such as pumping your hydraulics and bouncing down the avenue, make the experience even more fun. Racing is arcade style (it’s awfully hard to destroy your car) and easy to learn, yet power drifting is an acquired skill that keeps the learning curve gradual, but long. The only knocks on this top-notch driving game are the ubiquitous product placements (a Cingular messaging system? ), high system requirements, and large download size. 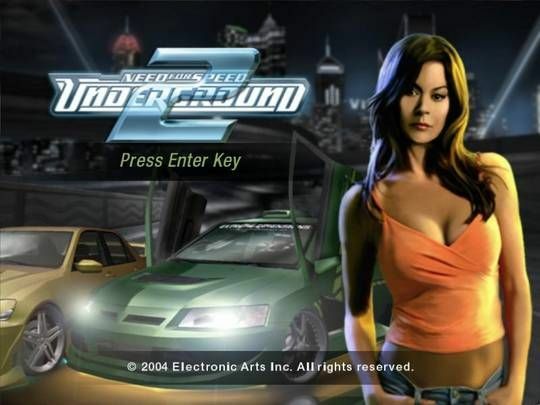 Considering the depth and quality of Need for Speed Underground 2, though, most gamers can forgive those details.